The beach is a place that is wonderful for weddings, but at times it's hard to find a venue that's available and the right size for your wedding. The Seacoast Science center has a beautiful tent in the side yard overlooking the water. Behind the tent they have a small beach and a jetty off to the other side. The photography options are endless. If the light is facing one way, you go over to the other spot and shoot. Then when the sun moves, you move back. The tent also provides great shelter for hot summer days and when the ocean breeze kicks in, the Seacoast Science Center is the most perfect place. Lisa and Josh were such a fun couple that was up for pretty much anything. 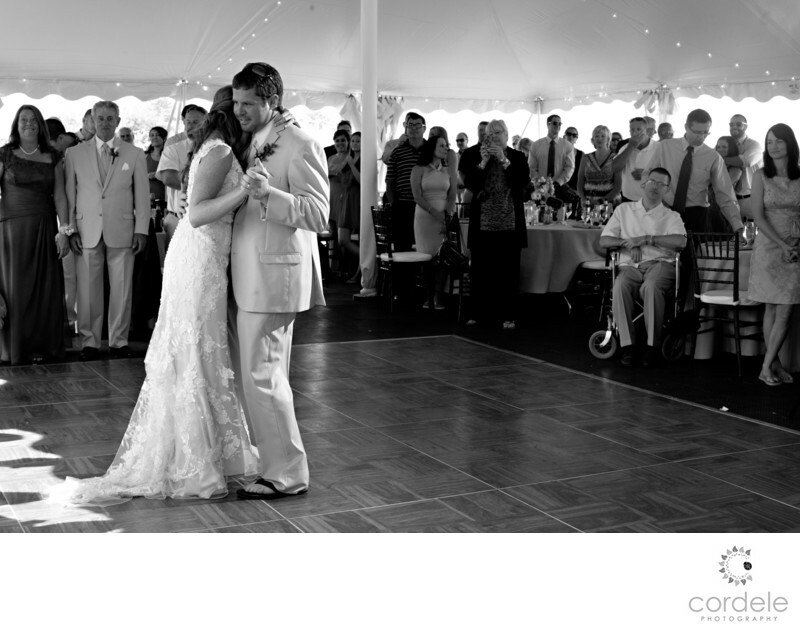 I loved her entire family and their first dance was surrounded by their large bridal party and their family. It was such a lovely moment!